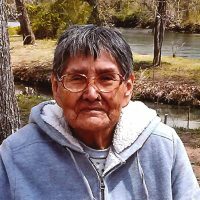 Graveside services for Polly Grass Buck, 88 of Vian, Oklahoma will be at 1:00 PM on Monday February 4, 2019 at Redbird Smith Cemetery in Vian, Oklahoma under the direction of Agent Mallory Martin Funeral Service, Inc.
She was born on December 29, 1930 in Linder Bend, Oklahoma to Lucy Nooyah Backwater and Levi Grass and passed away on January 31, 2019 in Vian, Oklahoma. She was married to Charley Buck and he preceded her in death. 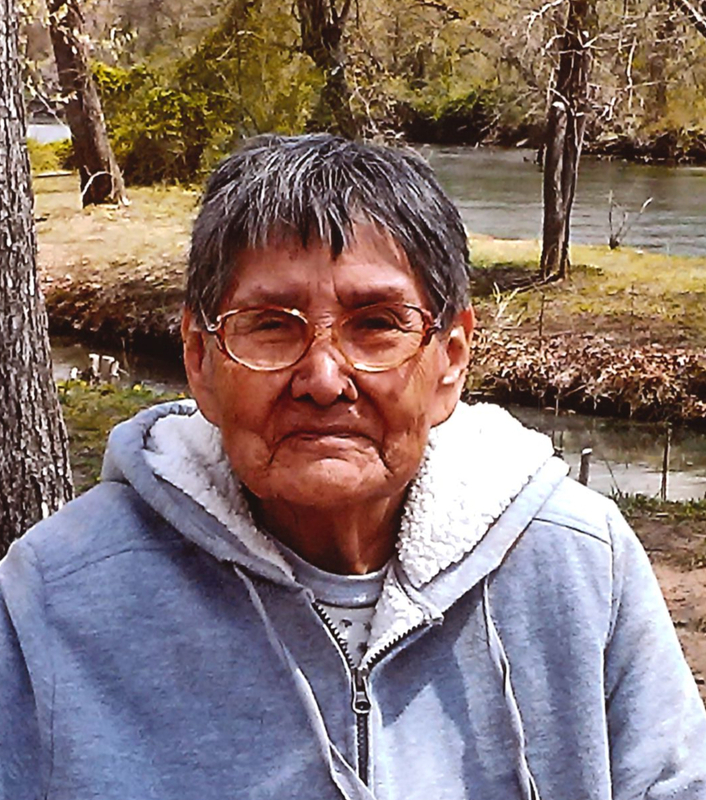 She was a homemaker and a cook at Vian Public Schools . She was preceded in death by her husband, Charley Buck; 1 brother, Ed Grass; and 1 sister, Genoria Tramell. Active pallbearers will be Joe Stevenson, Casey Nichols, Issac Pettit, Raymond Pettit, David Shivers and Richard Sequichie. Honorary pallbearers will be Dan Quinn, Jason Buck, Chris Nichols and Justus Buck-Gourd. Viewing will be Friday 4 pm – 8 pm, Saturday 10 am – 8 pm, and Sunday 2 pm – 8 pm at Agent Mallory Martin Funeral Home in Sallisaw, OK.